Pet Charm *PCT-010*Pet Charms-Bu Shang Enterprise Co., Ltd. 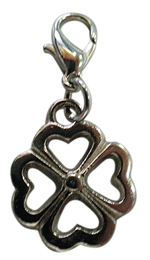 These are stylish and elegant collar charms! Add some style and personality to your pet's collar! Everyday gives your dog or cat collar a new look with these gorgeous additions on pet collars.